Outfit your horse in a comfy halter, and use a rope that is a good feeling for you. Take your horse out for a stroll. This is great time to talk to your horse and develop a deeper bond, as well as explore new places.Walk a little ways down a trail, or just take a stroll through the pasture. Have fun with your horse and include some trotting to mix things up. Put a halter and rope on your horse and take him out the tallest greenest grass you can find. Allow your horse to graze while you hold the rope. This will give you horse a treat and he will appreciate it. It gives you time to relax and just enjoy your horse. Even if your horse does not have to be clean or look good, grooming is great. Grooming feels good to your horse, and helps relax both you and him. May him as clean as possible, or even give him a makeover. Groom him from head to hoof and braid his mane and tail. If your horse is healthy, longing is a great activity instead of riding Outfit your horse in a quality halter or cavesson and a longe line. Practice your cues for turning and transitions. This will help improve your horse’s responsiveness and your training ability. Tricks are fun to teach your horse and with a little time and patience anyone can do it. Read books and ask other horse owners about how to teach tricks before trying on your own. teach your horse things like shaking his head, counting, bowing, and even laying down. Remember to have fun and don't get upset if your horse does not learn something right away. Some time spent out of the saddle is a great way for you and your horse to practice crossing scary objects and staying calm when scared. Lead your horse, over tarps, under dangling branches, into a trailer, through water, over a bridge, over a jump, or anything you can think of. Will your horse stand when an umbrella opens, a flag waves around him, a plastic bag blows by, a dog runs past, or a noodle touches him? If not, work on those things until he accepts them. 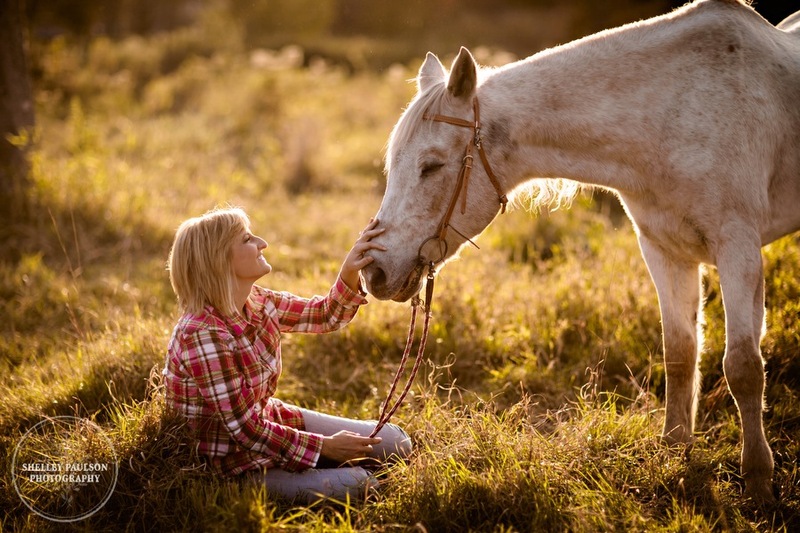 Your horse will learn to stay calm and trust you more.